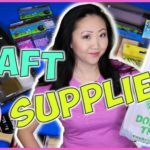 My favorite craft supplies from budget chain store Dollar Tree – haul + review! Because everything’s a dollar, it’s great to pick up cheap materials and supplies for your next DIY project. This is (probably) my only real fabric haul of 2018 (it shipped in December), since I challenged myself to NOT buying fabric for an entire year. Sharing a LIVE fabric haul of rose gold glitter vinyl, faux leather, and cork fabric – great for bag + purse making, as well as small accessories. 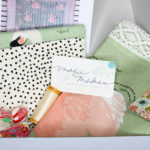 Ordering fabric online can be hit or miss. 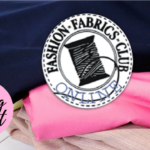 Sharing my fabric haul and review of items from Fashion Fabrics Club – does it look the same in person as in the product photos? We find out!